Just finished a staff meeting discussing Will Mancini's book, Church Unique. 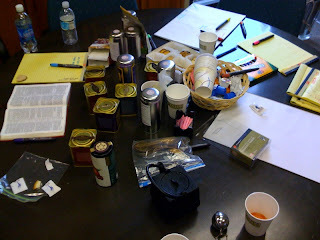 This is what the conference table looked like after we were done. Loose leaf tea, water, note pads, markers, Bibles. Great meeting.